Looking for cheap hotels in Barranquilla? 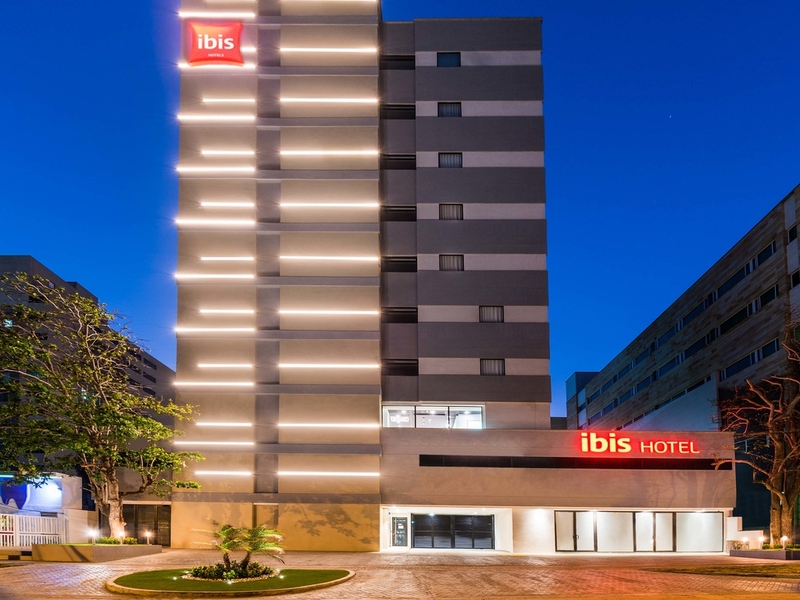 The ibis Barranquilla hotel is ideal for business or leisure trips, and for enjoying the Barranquilla Carnival, one of Colombia's most important festivals. The hotel is located to the north of the city in a business, medical and financial district, and boasts modern and comfortable rooms. Free WIFI, breakfast, restaurant with Caribbean menu, bar open 24 hours and covered parking subject to availability. Dogs up to 33 lbs. (15 kg) are welcome. The hotel is ideally located in the north of the city and offers comfort and quality at a low price. Enjoy air conditioning, free WIFI, breakfast, a covered car park, 24-hour bar and modern, comfortable rooms. Offering innovative and varied cuisine to satisfy all your cravings, whether it be for something sweet, savory...or both! You'll find a selection of the best drinks and cocktails, as well as plates of food to share, at our ibis Lobby Bar.